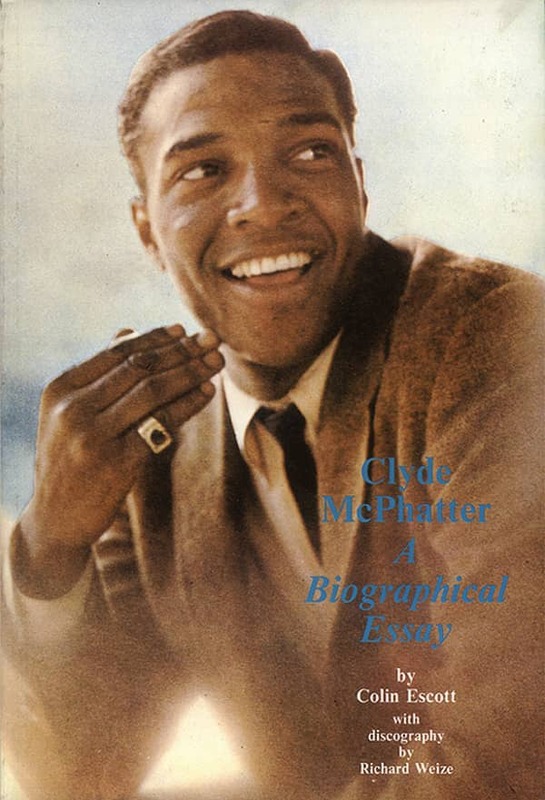 No lead tenor was as monumentally influential to the future of R&B vocal groups as The Dominoes' Clyde McPhatter. He was the first to incorporate an overt gospel influence into his impassioned leads, influencing everyone from Smokey Robinson to Aaron Neville to most of Clyde's successors with The Drifters. If it had been up to Billy Ward, the Dominoes' iron-fisted founder, Clyde would have reined in his sanctified tendencies and sounded like The Ink Spots' Bill Kenny. Thank goodness Clyde didn't listen to his boss. Ward was born September 19, 1921 in Savannah, Georgia but mostly grew up in Philadelphia. A gifted piano composer at age 14, he went on to study music at the prestigious Juilliard School. After an Army stint, Ward was working in New York as a vocal coach when he met talent agent Rose Marks. The two would co-manage The Dominoes until her 1955 death. The group started out as The Ques in 1950, Ward bringing together McPhatter (born November 15, 1931 in Durham, North Carolina), tenor Charlie White, baritone Joe Lamont, and bass Bill Brown. Clyde sang in the choir at his mother's church, and after his family moved to New York in 1945, he harmonized with The Mount Lebanon Singers (White was also a member). But McPhatter harbored secular ambitions. He competed in the Apollo Theatre's weekly amateur contest, singing Lonnie Johnson's Tomorrow Night. Ward's authoritarian approach whipped the group into shape in a hurry. They won the Apollo amateur show, emerged victorious on the radio program 'Arthur Godfrey's Talent Scouts' by crooning Goodnight Irene, and got signed to King Records' brand-new Federal subsidiary (Ralph Bass was persuaded to leave Savoy and head Federal by King boss Syd Nathan). That's when The Ques name bit the dust. The Dominoes made their first session for Bass in New York on November 14, 1950. Their debut single, issued shortly before year's end, was also Federal's inaugural offering. It paired the upbeat Chicken Blues, fronted by bass singer Brown, with a Clyde-led Do Something For Me that was the first volley in a soulful revolution, even if pianist/arranger Ward didn't care to encourage it. The deliberate tempo of Do Something For Me, credited to Ward and Marks, allowed Clyde to work sanctified magic with its pleading lyrics. The rest of the group, all ex-gospel singers, pitched in sympathetically abetted by shimmering guitar. The shattering ballad blasted up to #6 R&B over a ten-week span that commenced in February of '51. Great as they were, Clyde McPhatter's Drifters weren't the first black vocal group to use the name. There were several that came before. Recording for songwriter Otis Rene's Excelsior label in Los Angeles, these Drifters beat Clyde to the punch by a couple of years. 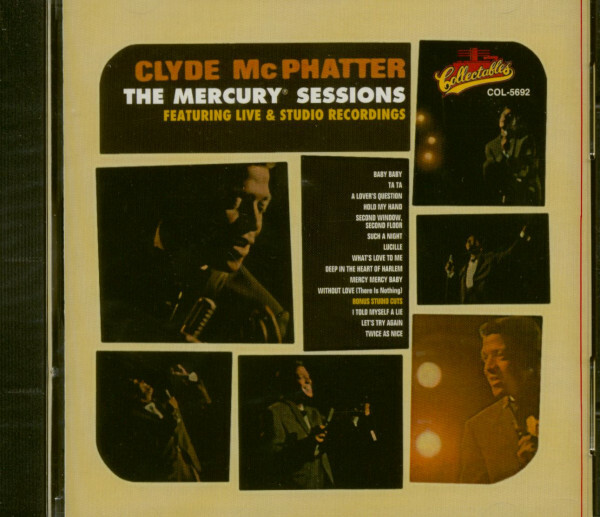 While their sound looked backward to the 1940s rather than forward the way McPhatter's visionary outfit would, their Honey Chile was a lighthearted charmer, the polished group riding a backdrop built around bouncy piano and winding electric guitar. The other side, the Rene-penned Mobile, was bluesier and more lowdown, though hardly back in the alley. By 1953, there could be no doubt who owned the name. But these Drifters ably kept it warm until McPhatter and his crew broke out like gangbusters. 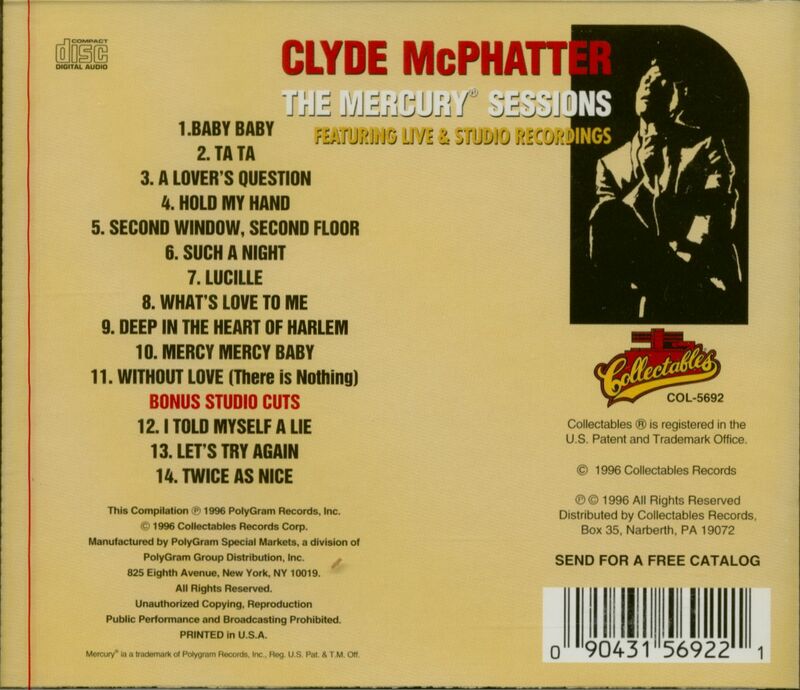 Customer evaluation for "Mercury Sessions - Live & Studio (CD)"